Numerous studies by multilateral agencies, academic institutions, businesses and governmental internal reviews have all come to the same basic conclusion: Cambodia’s educational system needs immediate and serious attention. There has been great progress in the past years, starting from almost nothing in the early 1980s, but much more attention is needed now. The Royal Government of Cam­bodia states in its Rectangular Strategy and in the National Stra­tegic Development Plan that education is a priority area, but statistics show that the words are not backed up by action. Data from studies by the World Bank, the Asian Development Bank and by the U.N. Development Program, show education expenditures expressed as a percentage of Gross National Product in 173 countries. 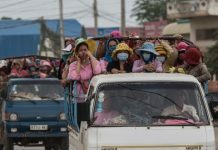 For the immediate geographical area, the data show Cambodia 2.6 percent (2010, #152), Laos 3.3 percent (2010, #136), Thailand 3.8 percent (2010, #119) and Vietnam 6.6 percent (2010, #29). The most critical area for increased expenditure in education is for salaries of teachers and university lecturers and educational administrators. Virtually all education personnel work two or three jobs in order to survive, leaving little time for research, updating curriculum and student/parent interaction. The low salaries drive quality down. The fact that the Ministry of Education, Youth and Sport has under spent its budget by 33 million dollars in 2011 in the salary budget line makes this question even more critical. Government has the money; for un­clear reasons, it is just not used for salaries. Not only are salary adjustments essential, there is also need for a revision of the education system asking why, how, and what is taught. There is a crucial need for major educational reforms, and for these reforms to be prioritized and funded. The underlying issue is clear: Many teachers and administrators often seek other sources of income both within education, mostly in the private schools, and in other sectors as well. Insufficient government compensation forces them into multiple outside jobs leading to teacher absenteeism, generating income by requiring students to pay “fees” to enter class, selling exam answers and degrees, and charging for outside classes covering materials that should have been covered during regularly scheduled classes. These non-teaching endeavors severely limit, if not eliminate, the teacher’s available time for curriculum development, updating her/his notes, grading exams, meeting with students and parents, and learning new material and designing creative ways to teach it. An exceptional teacher working multiple jobs often opts for a better paying position where commitment and success is ap­propriately compensated. This would be quite different if salary structures for these professionals were increased, corruption addressed, and their jobs recognized not with promises but action. A better educational system is fundamental to the future of Cambodia and, the government should be driving the reforms needed. Quality creates quality: If a teacher’s qualifications are low, and performance standards aren’t established and measured, the knowledge and capabilities of graduates will be impaired. The quality of the teacher directly impacts the quality of the product, an educated pupil; similarly, ability affects end results and the teacher’s capability is a direct consequence of her/his own education and experience. In today’s markets, a successful educational system needs to meet the expectations of employers: Right now, they are asking for keen communication skills, ability to work in a team, foreign language and computer talents, positive attitude, initiative, critical thinking and creativity. For high school or university graduates, these expectations are met both by school learning and also by the experiences found in internships, extra-curricular projects, such as debating, drama, sports, and computer clubs. The quality of an education is measured by how well graduates fit the current job market, serve their community and society, and contribute to the social and economic growth of the country. Given the nature of employment today, positions once available only to local graduates are now open to a greater field of applicants. 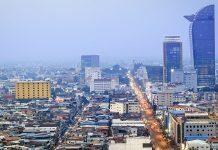 The ease of travel and the connected world of the Internet are largely responsible for graduates from developed countries now seeking employment in Cambodia. Those doing so often possess better educational credentials and have more experience gained through internships and previous employment. Assuming Asean economic integration takes place in 2015, workers from across the region will be able to freely seek employment here, and the competition for jobs will become even more acute. 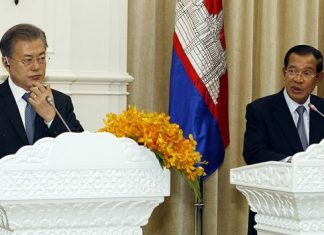 There are both positive and negative aspects to these changes: The country will continue its economic development but more and more foreigners will compete with locally educated students for the best jobs available, while Cambodia’s low-skilled workers will have to emigrate from family and country to seek work abroad. Recent articles summarizing employer interviews have indicated that numerous graduates of high schools and universities lack many of the above-mentioned employee-desired attributes. There has been a substantial increase in the number of new schools opened for K-12 students, and in the numbers of teachers hired to educate the 3 million students. Similarly, the numbers of higher educational institutions (HEIs) have increased and now 250,000 enrollees are spread out over both public (34) and private (57) universities. Such significant growth places serious demands on educational systems, both those that teach the teachers, and those that are supposed to serve the large numbers of students. With such rapid growth in numbers, especially in the higher education sector, it’s clear that quality suffers due to the profound lack of qualified teachers and well-prepared university administrators and this applies both to under graduate and graduate schools. In tertiary education, there is an additional issue: the lack of an effective process of accreditation; the Accreditation Committee of Cambodia was established back in 2003 but as yet, if the website is to be believed, generally non-functional. Given the government’s lack of supervision of the ACC, it is still not possible to compare the quality of one university against another, to discover educational information on faculty members and Boards of Directors, to compare course offerings, or costs for degrees. Similarly, it’s impossible to know if international standards are met, if research articles are being published by faculty, or examine the quality of ongoing research being done by the staff at the university. Given the annually increasing number of graduates from all schools and universities, and the limited number of appropriate job openings, it is crucial for this information to be offered to all stakeholders in education. Given the absence of such standards it’s impossible for students, parents, present and future employers, donors, and the government to decide where and how each should invest its limited capital. In summary, at present the government inputs to education across the board from K-12 through to HEI are insufficient to drive the engine of educational reform and there’s little to indicate that the situation is to drastically change anytime soon. If this is true, the result will be a seriously under-qualified workforce in the near future and for years to come. The country of Cambodia and especially its young people deserve better. Kenneth Wilson, adjunct professor at Texas State University, teaches at the Royal University of Phnom Penh and has opened research laboratories in Cambodia.